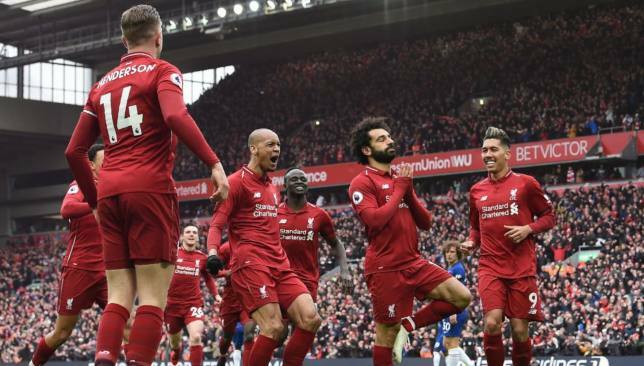 Mohamed Salah produced a wonder goal to help Liverpool overcome former club Chelsea and remain in top spot of the Premier League standings. After a first-half stalemate, Sadio Mane headed in a 51st minute opener from Jordan Henderson’s chipped cross. Then, just 142 seconds later, came a moment to marvel as Salah collected a Virgil van Dijk pass on the left, cut inside and unleashed a 35-yard shot that rocketed into the top corner. But Chelsea’s own superstar Eden Hazard hit the post and was denied by Alisson as the Blues, unbeaten at Anfield since 2012, hit back. Liverpool remained calm to seal the win that takes them two points clear of Manchester City who have a game in hand. 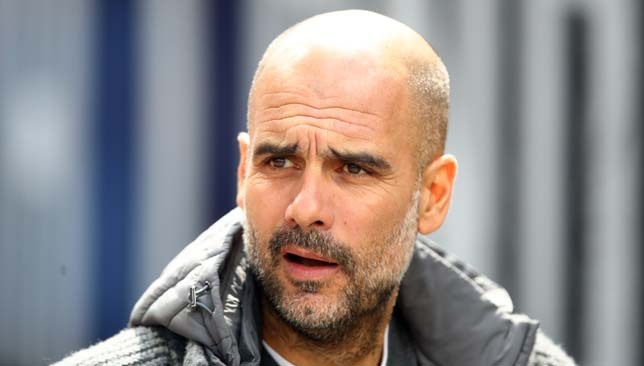 Meanwhile, Chelsea stay fourth, but just three points clear of sixth-placed Arsenal who have two games in hand and two points clear of Manchester United in fifth who have one game in hand. In a bland first half, it looked as if Liverpool were more cautious in their approach. The emphasis seemed to be on not losing and greater patience, especially in not committing too many men forward or taking risks. Some might suggest it was nerves, fear perhaps, but there should have been no scars of that 2-0 home loss to Chelsea five years ago that cost them the title. The only player starting on Sunday who will have painful memories of that day and that campaign was Jordan Henderson, who was suspended for that game. But he led his side when needed with the charge and chip for Mane to head in the crucial opener. With Fabinho deployed deep, Henderson has thrived in a more forward role and his incisive passing range and work-rate came to the fore. But he was not alone in stepping up in a second-half display that secured victory and put the onus and pressure back on City. Alisson, particularly, made a crucial save from Hazard, that could have affected the outcome. But this was the sort of team performance that wins titles. A fan nearby cried ‘have a go, Mo’, when Salah picked up the ball 40 yards out in the first half. It seemed incredulous to expect the Egyptian to fulfil those wishes with a shot. But such is the expectation, the anticipation when Salah gets the ball that anything is possible. He showed that with his wonderful 35-yard strike for the second goal. Before that, he was busy, but perhaps a bit too over-elaborate on occasion. In promising positions, he tries one too many tricks, takes one too many touches when he should look for support and the opportunity is wasted. But perhaps it is in the DNA of every great player that they always look to produce something special. In the opposing ranks was Hazard, equally gifted and again showing why Real Madrid want him. The touch to collect a David Luiz long ball, and slip it past Alisson and against the post, was utterly sublime. Ghosting in behind defenders, twice he could have scored. Hazard was again used as the centre forward, ploughing a frustrating lone furrow, but this man can really play anywhere. When Lionel Messi and Cristiano Ronaldo eventually step aside at the top, Hazard and Salah will be in the frame as No1. They are destined to do, and achieve, much more. It was refreshing to see the names of Ruben Loftus-Cheek and Callum Hudson-Odoi on the team sheet as starters. They have deserved their chance, although this was a tough test for the young pair. But the sight of Gonzalo Higuain on the bench was a reflection of where he stands with Maurizio Sarri amid an uncertain future. In big games like this you call on your best players, irrespective of tactics. And if you choose to play Hudson-Odoi, a target man would generally play to the winger’s strengths in getting balls into the box. Hazard too plays better off a striker. Sarri clearly does not have faith in Higuain, who looks unhappy and demotivated. The Argentina striker came to Chelsea from Juventus with much hope and a view to turning a loan deal into a permanent one. But the Premier League has history of shattering big-name reputations; Andriy Shevchenko particularly comes to mind after his struggles at Stamford Bridge following his impressive record with AC Milan. With Sarri still under pressure and a top-four spot in jeopardy, Higuain needs to work much harder in the remaining games if he is to be at the club next season. 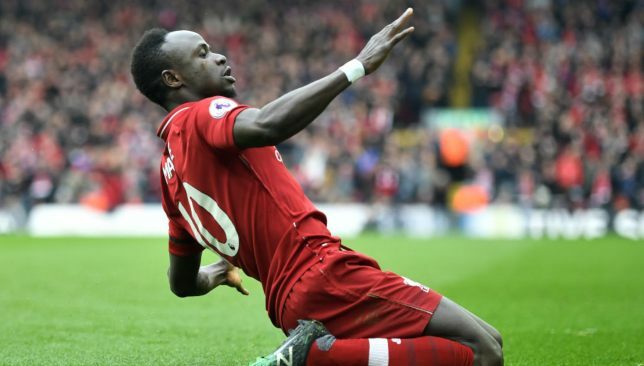 Goals from Sadio Mane and Mohamed Salah helped Liverpool to a crucial 2-0 win over Chelsea on Sunday in the Premier League. The three points took them back to the top of the table, one point ahead of Manchester City who have a game in hand. Chelsea provided a good test at Anfield but Mane broke the deadlock six minutes into the second half before Salah doubled their advantage inside two minutes with a spectacular effort from range. Eden Hazard hit the post and was denied by the keeper as Liverpool held on for victory. Here, we take a closer look at Mane’s performance. 39th minute – CHANCE: Loftus-Cheek loses the ball and Liverpool counter with Salah squaring it for Mane inside the box. His whipped effort fizzes wide of the near post though. 51st minute – GOAL: Jordan Henderson hangs up a ball at the far post after some good work from Salah and Mane is on hand to bury in his header from close range. 88th minute – CHANCE: Virgil van Dijk launches a ball forward and Kepa Arrizabalaga is caught in two minds, allowing Mane to knock it past him. However, with the goal unmanned, the forward couldn’t keep the ball in play. 89th minute – SHOT: Mane does brilliantly to drive past two players before his powerful shot forces a good save from Kepa. Efficiency – Salah is never out of the action for long. Liverpool’s play is often conducted down his side and the Egyptian is not averse to firing a series of efforts at goal. Mane on the other hand is not exactly passive but certainly takes a more subtle approach. He identifies space and waits for the ball to find him in it. He did that excellently against Chelsea as well and could’ve had more than his one goal as a result. He only had three shots but scored from one of them while two were on target. He didn’t try to take on several players like Salah but his passing was neat, tidy … efficient. Tracking back – The Senegalese didn’t show as much enthusiasm as he could’ve when Chelsea attempted to break forward. Often the Blues found space down the right with Andrew Robertson caught up field. Mane showed little desire to track back and the hosts could easily have conceded from one of those transitions, Hazard certainly came close. Salah will take the plaudits for that incredible goal and his energetic display but Mane was deserves credit as well for breaching a stubborn Chelsea defence when a house full Anfield was growing restless.